Archdiocese launches website to inform, educate on clergy abuse response. Published 1/18/2019. Local. 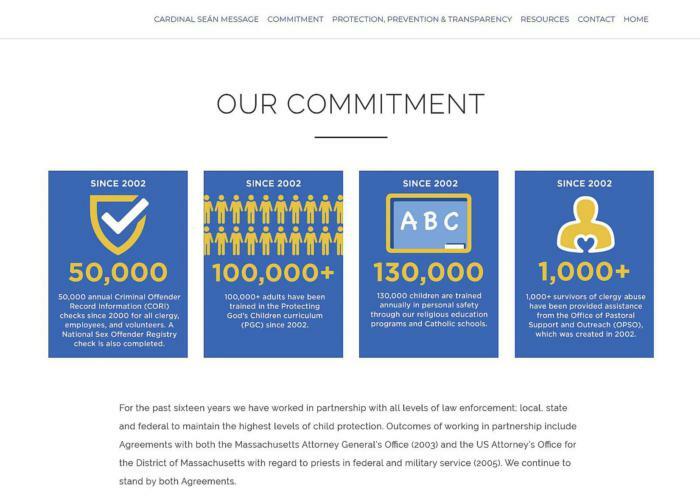 A screen capture of the Archdiocese of Boston's new website "Protection, Prevention and Healing," which aims to educate the public on the archdiocese's clergy abuse response and protection efforts. The Archdiocese of Boston is launching a website this week entitled "Protection, Prevention and Healing," which has been created for use by all Catholics in the archdiocese. In a statement announcing the site, available at commitment.bostoncatholic.org, the archdiocese said, "The content on the site will inform, educate and provide resources, especially for all impacted by sexual abuse of minors and vulnerable adults, and includes easily accessible support for survivors and their families." 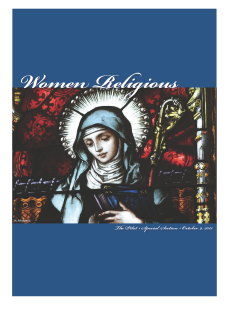 The website is also a place to learn more about the various protection and prevention programs in place for educating our youth, as well as mandated training and background policies in place for our clergy, staff and laity. "In short, it is a statement of the Archdiocese of Boston's commitment to accountability and transparency," the archdiocese said. The archdiocese reiterated its commitment to addressing the needs of survivors and those who have suffered because of clergy sexual abuse, and said it investigates and responds to all allegations of misconduct involving minors, removes abusive priests from active ministry consistent with its zero-tolerance policy, and has created and maintained safe environments for children in our churches and schools. "While much has been accomplished, the work in this area is continuing, and is lifelong," the statement said. "Our education programs are working: Clergy, religious, volunteers, and employees are focused on child safety and creating safe environments. Adult volunteers and employees are helping children stay safe everywhere, including among friends, family, and others." "We see this website as a living resource, not static, but one that provides valuable, useful and up-to-date information for all who visit," said Terry Donilon, the archdiocese's secretary for communications and public affairs. He noted that more content will be added in the weeks and months ahead. 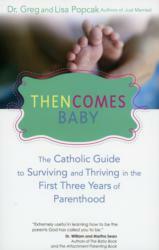 "We receive many questions about the Church response to the abuse crisis. We hope this is helpful in offering clarity and supports the healing process," Donilon said. The archdiocese's Office of Pastoral Support and Outreach (OPSO) will work to collaborate with survivors to use the site as a resource for sharing their artwork, poems and other content.